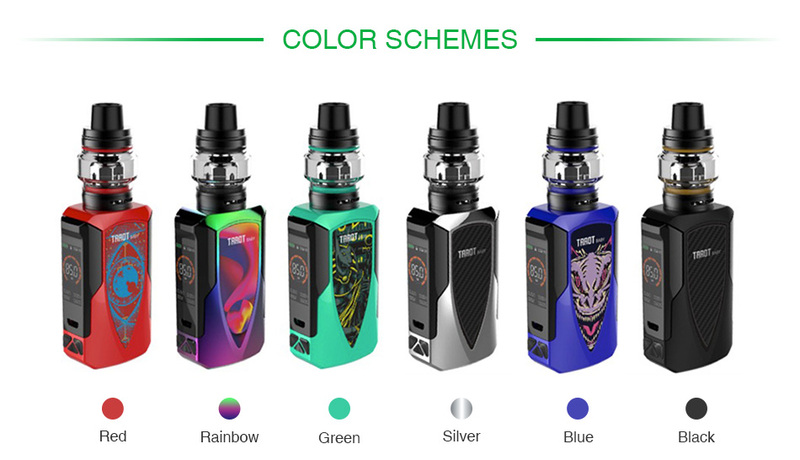 The Vaporesso Tarot Baby TC Kit is a new member of Tarot family, consisting of the Tarot Baby MOD and the NRG SE tank. Powered by 2500mAh built-in battery, it can fire up to the max output of 85W with 0.002s quick firing speed. 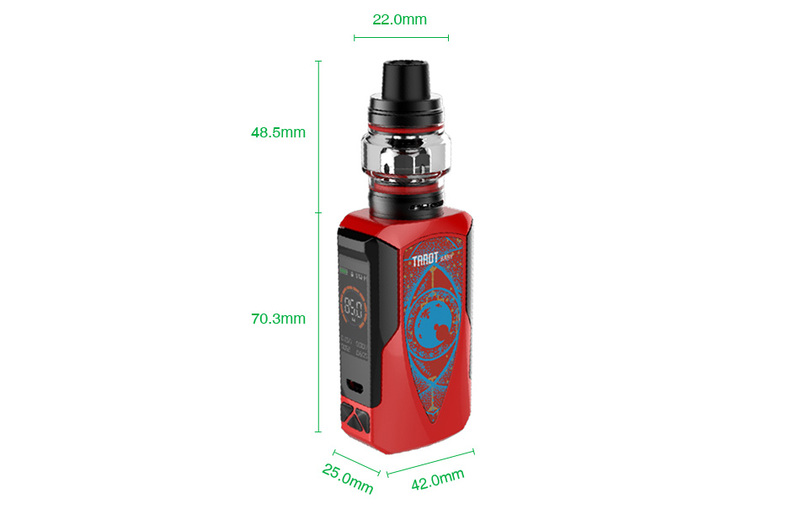 The Vaporesso Tarot Baby 85W TC Kit is right here for you! The compact kit packs a Tarot Baby MOD and a NRG SE subohm tank in a small unit. Powered by inbuilt 2500mAh battery, the Tarot Baby supports a maximum output of 85W. The advanced OMNI Board 4.0 brings stable performance to the device. The Tarot Baby MOD features Super Player Mode to be compatible with tanks with various resistance. The 0.002s fast firing speed makes the device so quick while vaping. And the NRG SE tank adopts slide-n-fill design, adjustable bottom airflow and interchangeable GT cores. Users will enjoy a great flavor and vapor production. No e-juice included. You can select the e-juice here. You can select NRG SE Tank/Tarot Baby MOD/NRG GT Core Coils/Cascade One GT Coil/Replacement glass tube.